Landscape - Influence of rock-structure – Denudation - Stac and Sloc Fiords - Glacier action - The Netherlorn country. History - Pennant's visit – Mr. John Whyte - Manufacture of slates - Eilean-a-beithich, quarry there – KILBRIDE - MacLachlans of Kilbride - Smig mhic Mharcuis - Kilbride MSS. – Kilbrandon Churchyard - Robert Grant - Campbells of Calder – "The black years of King William " - Famine of 1693 – 1700. Raised beach - Geological characteristics of slate - Prehistoric forts - Caisteal Muici - Dun Aorain – "Bishop of Lorn" - "Toad of Lorn" - Clachan Sound and Bridge - Capture of whales – The Major Maol and his horse, Giullan-Beul a chuain and stream. Tidal currents - Dubh-leitir - Leacamor Fort - Sgeir Carnach - Kilchattan Churchyard - John Duncanson - Captain Duncan MacDougall - Coll of Ardlarach - Alexander Campbell, the Covenanter - Dorothy Brown, the poetess - TORSA: cultivation, "run-rig" - Caisteal nan Con - SHUNA, history of. St Brendan - Claodh Bhreanain - Megalithic circle - Loch Seil - Na-h-oighean - Ardmaddie Castle - History of MacDougalls of Reray - Lord Neil Campbell. 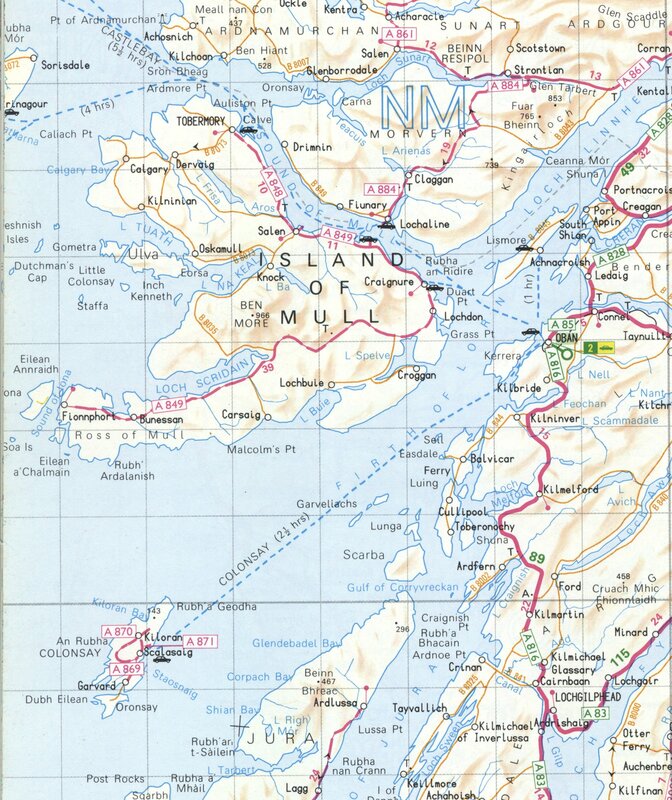 The Garvelloch group - Place names - Dr MacCulloch's visit – Description – Garbheileach - Claodh Dhubhan - Buildings on Eileach a' Naoimh - Grave of Aethne - History of the Garvelloch Islands - Dun Chonail - The kingdom of Dalriada – ST COLUMBA, exile from Ireland - Carn cul ri Erin – Diseart – HINBA - Identity. Beehive cells – Kilmory – Quartzite - Dendritic markings – The Maighstir Sgoil Crubach - His description of Scarba - The Little Gulf - The Great Gulf – Coirebhreacain - Cause of phenomena – History – Jura – Description. 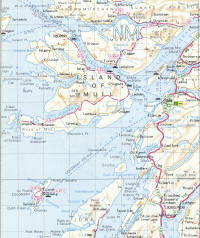 Loch Craignish – Islands - Basaltic dykes - Duntroon Castle – "Colla mo run" - Piper's warning to his master - Craignish Castle - Campbells of Craignish - Raoul mór - Young MacMartin and MacRath – MELFORT - Pass of Melfort – Culfail - Loch Melfort -History of Melfort – MacOran - Sir Henry Campbell Bannerman's connection with Melfort. Alasdair MacColla - The Massacre of Laganmor - Sabhal nan cnamh - History of Sir Alexander MacDonald - Glen Euchar - River terraces – Salmon - Creag na' marbh - Struggles for Lordship of Dalriada - Dun Mhic Rhaoul - Bealach an t-sleuchdaich - Loch Feochan - Loch Scammadal - The Brooch of Lorn. Battle of the String of Lorn and death of Cailein Mór - Loch Awe - Glacier action - Old outlet - Strath of Kilmartin – Antiquities - Carnasarie Castle - Bishop Carswell – Conclusion.